Lewis Hamilton led away from the grid for the Spanish Grand Prix, converting his pole position into a comfortable lead. Teammate Nico Rosberg remained with him, and opted for a different tyre strategy for the middle stint. Meanwhile, Jean-Éric Vergne retired from the race after his Toro Rosso developed an exhaust problem. Kamui Kobayashi also retired, suffering a brake failure that saw him narrowly miss a collision with the tyre barrier. His Caterham teammate Marcus Ericsson didn’t have a near-miss with Pastor Maldonado, after the Lotus driver collided with him, bouncing off the front wheels. Both continued in the race, but Maldonado was given a five second penalty for the incident. Sebastian Vettel put in a great recovery drive after starting 15th on the grid, he moved up to fourth finishing just behind his teammate. Daniel Ricciardo finished on the podium, taking his first legitimate trophy of the season. 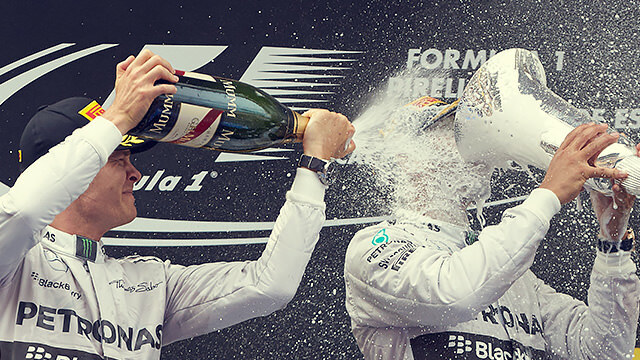 The battle between teammates was intense at Mercedes, with Rosberg closing up to Hamilton to the very finish line, eventually finishing just six tenths behind the Brit as the chequered flag dropped. Lewis now moves into the lead of the driver standings.